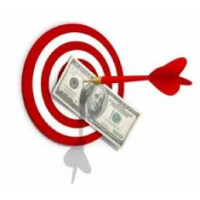 How to set sales targets was a recent question from a new business owner. I appreciate that no one wants to pull a number out of the air. But how do you develop a revenue target that makes sense? Is achievable? Will get you the money you desire? So to begin with, what resources do you have? Other people, time, money? These play a role in your choices and the reach you can achieve. If no one knows you exist, you won't get any customers, will you? It all comes down to the daily behaviors you (and your staff and your other resources, if you have any) actually DO. That's a generally accepted flow. Suspects are breathing human beings who MIGHT have a need for what you offer. Prospects have stuck up their hands and said, "Yes! I *am* in that situation which your solution can get me out of!" And customers have paid you for that solution. An effective sales process is all about filtering. You filter suspects into prospects, and prospects into customers. So returning to daily behaviors, how many suspects a day can you encounter? And on average how many will filter into prospects? Of the prospects, how many can you filter into customers? The more you can automate this process, the better. Especially the Suspect >> Prospect section. You do not want to be wasting your time on people who are unlikely to buy. At first you won't know the exact ratios. How could you? Industry trends may be available to help your guess, but it will still be a guess. That's fine. Begin with a conservative ratio, and then improve as you get real feedback. You have at least two approaches to reaching your X number for revenue. Either you can set the revenue target at the number you want to earn and work backwards to develop the behaviors and resources you require to reach it...or you can figure out the behaviors you can accomplish per day and work forwards to a possible total. You want to make $500,000 in the next 12 months. Your revenue per sale is $1,000. Simple division: you need 500 customers. Let's say you're new and not very good at selling, so a reasonable ratio would be 15 prospects who have to be spoken to for one sale. That's 7,500 prospects you need to get into your funnel this year. Building back from that, let's say conservatively you will require 20 suspects to learn about your existence to get one prospect to stick up their hand and say, "Yes, I might need that!" So now you know you need at least 15,000 suspects. Now compare to your resources. How will you get in front of those 15,000 suspects? Who and where are they? How much does it cost to reach them? What process will you use to convert the 1 in 20 you expect to become a prospect? How long does this part of the process take? And for the sales...out of the 15 prospects you must meet to get an order, do you have the time to personally do this? Or must you hire salespeople? Can you automate? How much does this cost? How long does it take to convert? For simplicity's sake, assume it takes less than 30 days for the whole funnel to work and a suspect to go in and a customer to pop out. This means you must meet 625 prospects every month, or an average of more than 31 EVERY DAY! This is useful information, isn't it? Because it tells you what you need for resources: it's unlikely you alone will be able to meet with 32 people in one day, every day, 20 days out of the month, isn't it. 5 or 6 is more likely for a moderate-ticket sale like this, right? 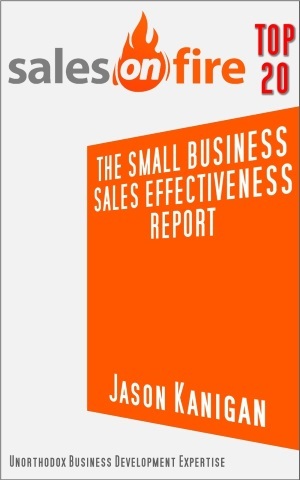 Now you know you need a half-dozen more sales staff or you won't meet your target no matter how hard you work. This is critical to understand, as a single operator. There comes a point where you just can't do any better alone. And continuing, you need 20 suspects to generate one prospect...that's 2,400 suspects you need to engage. Where are they? How will you reach them? Do you have the time--with blog entries, emails, what have you--to do this? It should be obvious how you build in affiliates now. They have their own funnels with their own ratios, but you can forecast their conservative results on an individual basis. Remember, your ratios will improve over time. You will learn the market's pain points, get used to the sales process, and be more comfortable closing. Make sure your costs of customer acquisition--marketing, your time, sales staff and more--don't eat up your profit. Consider your pricing carefully. I teach people to begin with Price because it keeps them out of trouble, and focuses them on who they should be going after as their target market. How Do I Build a List? I see this question frequently in business forums and on expert platforms. Business owners and salespeople are wondering how to generate a prospect list, and what to do with it. The process is much easier than people seem to want to make it, but a little thought at the beginning can give you big dividends moving forward. The first question you need to answer when generating a prospect list is "Buy or Build?" Pros: Single data source, can usually sort by some variables, often cost-effective. Cons: Costs money, imperfect targeting, will require more screening. Pros: Totally customized based on your specific requirements, reduces screening requirements going forward, completely under your control. Cons: Potentially high cost of data gathering, time-consuming, easy to put off doing. The costs of both options are business expenses and should be used to reduce your taxable revenue. For either choice, pre-qualify beforehand. Do some Information Interviews. The kinds of things you want to discover are: What are typical features of customers who buy from you? What size are they? How long have they been in business? What growth stage are they at? Structure? Industry? What typical problems do they have that make them aware they have a need for what you offer? 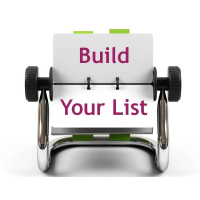 Find out these things and generating your list will be much easier. Whether you're buying or building, you can sort by these variables. Then you're only paying to get info on those organizations that fit the profile. The next step of list building is the calling stage. Your job now is to SORT the profile-qualified prospects by whether they have the problems buyers usually choose to work with you to fix or not. This is why information interviews beforehand are so helpful. Companies do not advertise their greatest weakness on their website. You won't find it in their annual report. You have to actually talk to them to uncover what these issues are and the terminology they use to discuss them. 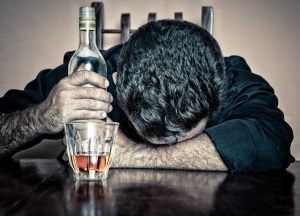 If a prospect doesn't have a problem you can fix at this time, that doesn't mean they are dead. Circumstances change. Mark the prospect for a callback three to six months down the line to check. The next question typically following How Do I Build a List? is what CRM to use to keep track of this data. The answer is just like in exercise: the one that you will make use of! I use a simple Google calendar plus conditionally-formatted spreadsheet...keeps me up to date and I actually use it, instead of the many white label and custom CRMs I've used in jobs over the years.